Do we have a great counter surveillance device for you? Of course we do. 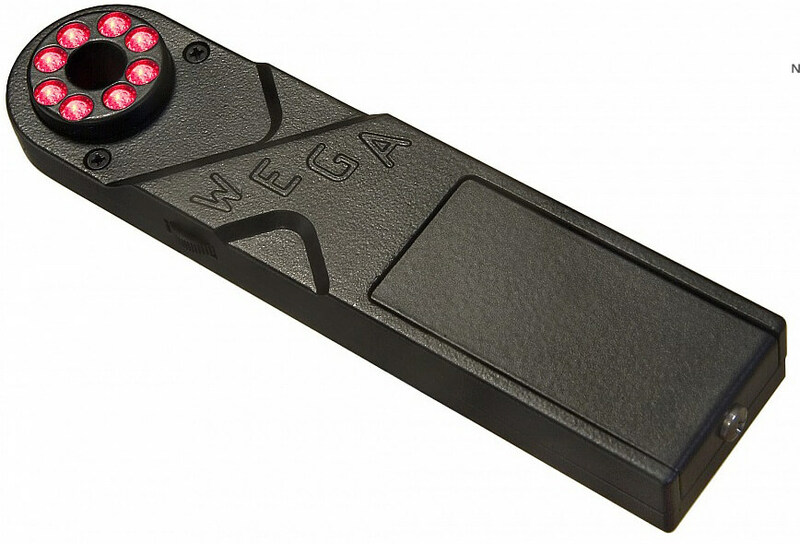 now introducing are very special device the WEGA i Pinhole Camera Finder Spy Cameras Detector.are you tired of somebody spying on you? Do you have a psychotic boyfriend or girlfriend or wife or husband that is tracking your whereabouts and activities? If so this calls for Extreme counter-surveillance Measures. 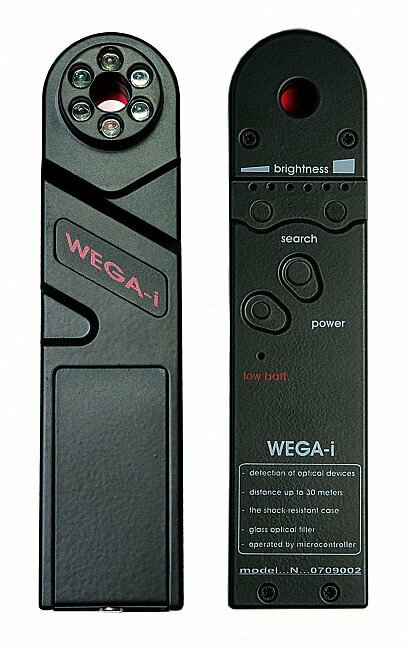 The Wega i Is usual utilizing LED radiation infrared beams that is reflected when another video camera is running and this counter surveillance device catches the Rays when they bounce back. 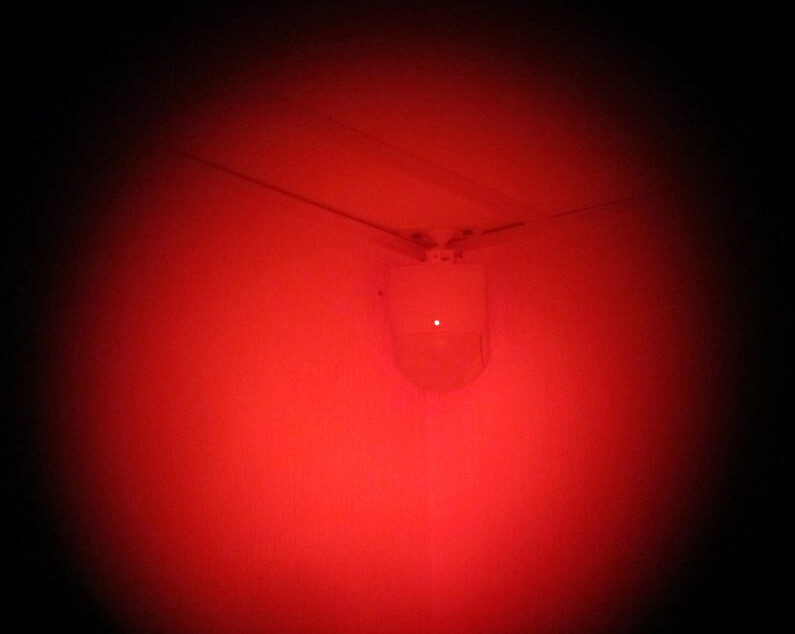 It has an IR filter in glass that is built into the device 2 keep natural types of reflections and focuses on the exact coordinates of the Hidden spy camera. This unique device was created for professionals in the sphere of the surveilance countermeasures. Thanks to its optical principle the WEGA i can discover lenses of all types of covert cameras not depending on their working state. 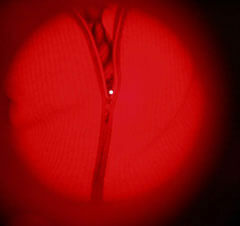 The WEGA's LED matrix radiates a powerful infrared beam which is then reflected by a video camera's optics and is easily detected by the operator. The IR-filtering glass built into the WEGA i helps the operator to avoid natural reflections from surfaces and concentrate on finding the exact location of a hidden camera. Professional Protect 1206i Spy Cameras Sweeper Detector Hidden Bugs Finder i.. Protect 1206i NEW! 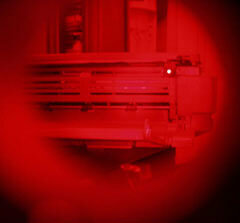 Spy Camera DetectorProfessional Series advanced detector ..